Websites like Facebook, Twitter, and Google+ serve as a relatively simple and inexpensive medium for brands to quickly reach a large audience, their popularity and importance are continuously increasing. As the number of social media sites and the size of online communities continue to grow, managing accounts can become time and energy consuming. Engaging customers and prospects, updating blogs, submitting articles, announcing products, creating press releases, and keyword research must be done constantly. 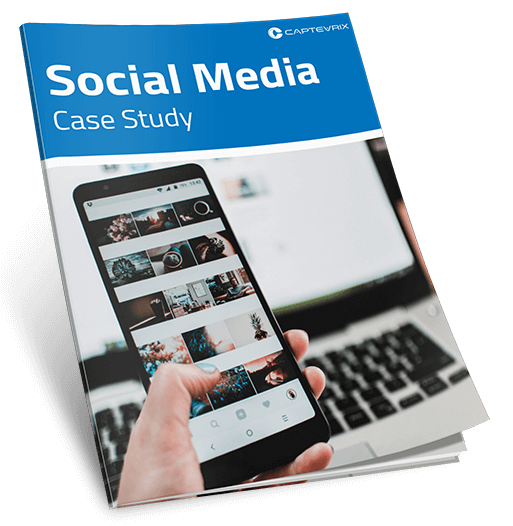 This is where Captevrix’s social media management service can assist your company, whether it’s a small startup or large and established. Our team of industry recognized and accomplished professionals are dedicated to developing, implementing, and managing all of your company’s social media needs. When you choose Captevrix, your personal Social Media Manager will monitor all aspects of your company’s social presence. We will engage your customers for you promptly and accurately as you would if it were you speaking with customers at your establishment. We will monitor for spam and remove it promptly. If there is anything you need during the campaign, you will always be able to communicate with your personal representative. In addition to all of this, we will provide monthly reports so you know how your company is performing. Best of all, if you aren’t satisfied, there are NO long term contracts here. Do you have a hard time coming up with what to say to effectively engage your audience? Our diverse and extensive marketing experience will ensure that your message is communicated effectively. Through our process we will learn your business intimately and generate unique content for your specific customer base. Some companies require a more professional presentation while others may not. When you choose Captevrix, your message is yours. Everything we generate is approved by you. We do not and will not post content not approved by your company. With our marketing experts and your knowledge of your business we will help you put the “like” puzzle together! We evaluate our clients performance continuously, not just once a month. We will adapt your social media plan accordingly. This may consist of adapting the delivery times of your posts to ensure the greatest exposure or engagement. With our robust analysis system we will locate the perfect time to post to your customer base ultimately reaching the largest audience possible. We give you access to our robust social management tool so you can monitor in real-time your progress. This is included at no additional charge. Our team will monitor your social media continuously. Social Media is about responding and conversing. It does absolutely no good to post “status updates” and not engage and speak with your customers. Our team monitors and responds to comments generally in less than a few minutes, but never more than 30 minutes (between the hours of 7am-10pm (unless there is a pre-coordinated special event). If we don’t know the answer immediately we will contact you for guidance. Our company’s responsiveness ensures our clients successful social media campaigns. Our experienced team will build posts to generate activity and reach ensuring you get the maximum exposure. Social Media is here to stay, learning how to navigate it and turn it into a revenue generating machine is our specialty. We will write and send all of your posts for review and approval on a monthly basis, that's about it. We take care of interacting with your customers (on your behalf), graphics, content, ideas, etc.